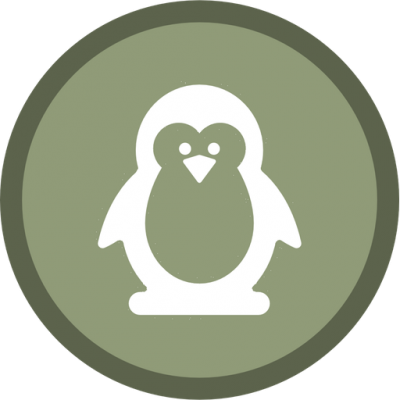 Galapagos penguin facts for kids help us to learn rare insights about Galapagos penguins that are not common. 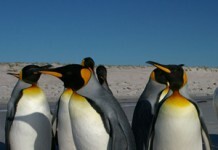 These penguinsbelong to the family of Spheniscus Mendiculus and are common in Galapagos Islands. This is the only specie that is living in the north of equator and is capable to bear extreme cool temperatures. 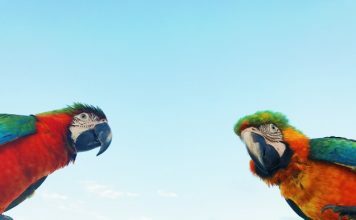 The survey conducted in 2004 about the Galapagos’ population which revealed that there are around 1,500 birds left and is, therefore, listed as endangered species. The population also faced sudden decline of about 70% back in 1980; however, it is said that these figures are becoming better with the passage of time. Amongst all the penguin species, Galapagos penguins are rarest penguin species. The length of Galapagos penguins is 49 cm (19 in). These penguins weigh around 2-5 kg (5-5 lb). The color of the head is black with a white border. They have blackish grey and white undersides together with two black lineages that run across its stomach. The adults are considerably different from their chicks. The males are greater in size in comparison to the females. The Galapagos Penguin is the third smallest species of penguin. 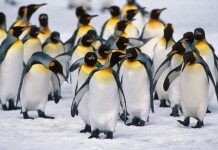 These penguins are considered to be endangered species. A significant decline in the population is observed according to the survey conducted in 2004 by the research station. There are no more than 1,000 breeding pairs all around the world. The females lay eggs after every 4 days of interval. The breeding starts when the temperature of the water surface falls below 24oC for the reason that under this temperature, foodstuff becomes available abundantly. The average lifespan of Galapagos penguins is 10 – 12 years. However, they can live up to 20 years. These are social and they like humans to approach them but no less than 3 meters of a distance. Apart from other islands, Isabela and Fernandina Islands are the two most common places where these species are seen in large colonies. 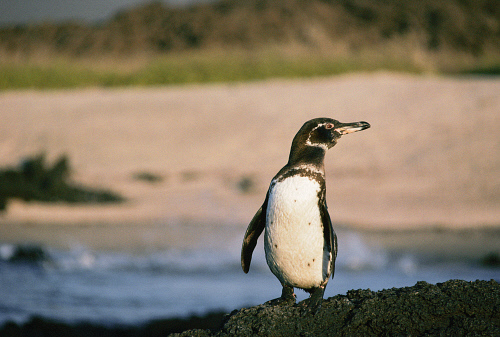 Almost 90% of Galapagos penguins live in these Islands. Besides, they also live in Santa Cruz, Floreana, Santiago, and Bartolome. They eat small schooling fish, mainly mullet, sardines, and sometimes crustaceans. These birds tend to stay near water in the daylight; however, when the night falls they come out to the land due to the extreme cold weather. 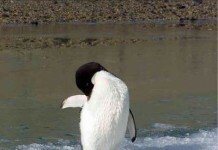 These penguins avoid sun rays and in daylight, they flap their wings to cover their feet for the reason that they can lose heat from their feet. In order to hide eggs from the sunlight, Galapagos penguins place them under the steep rocks. The nesting period lasts from May to January. The nests are built near water shore i.e. 50 m (160 feet). They are monogamous birds in that they choose their mates for a lifetime. The period of incubation lasts for 38 to 40 days. 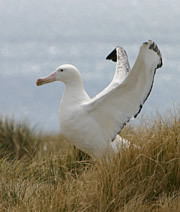 Both males and females are responsible for the incubation process. The chicks come out after 30 days of their birth. After 60 – 65 days chicks can take care of themselves. Since Galapagos Penguins are relatively smaller, they have predators like eagles, hawks, owls and snakes. Other predators include sharks, seals, and sea lions.